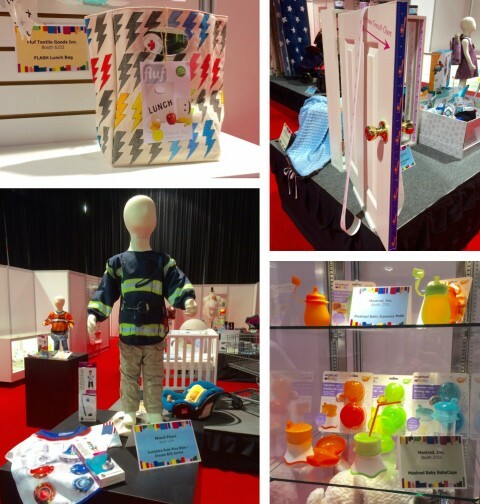 The New Products Showcase is a good place to start our coverage of the ABC Kids Expo for 2015. The Expo ended yesterday but we’re just starting to digest all that we’ve seen from the nearly 1,000,000 square feet of exhibition space. The showcase is a separate area away from the show floor, where exhibitors can bring our attention to only their newest offerings. I took photos of the things that caught my attention (for better or worse) and we’ll discuss some of them in more detail later. From OXO, the On-the-Go Wipes dispenser with diaper pouch can be dropped into any bag to turn it into a diaper bag, or just tossed into the car for convenient changes. 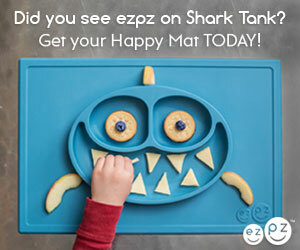 From Hatch Baby, the Smart Changing Pad tracks baby’s growth, feedings, diapers and sleep in conjunction with your smartphone. 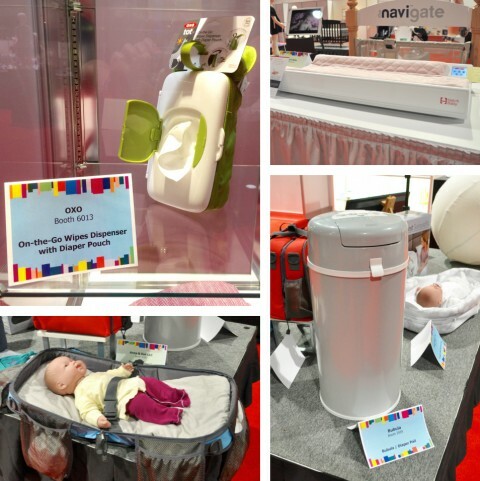 A new diaper pail worth having a look at comes from bubula. 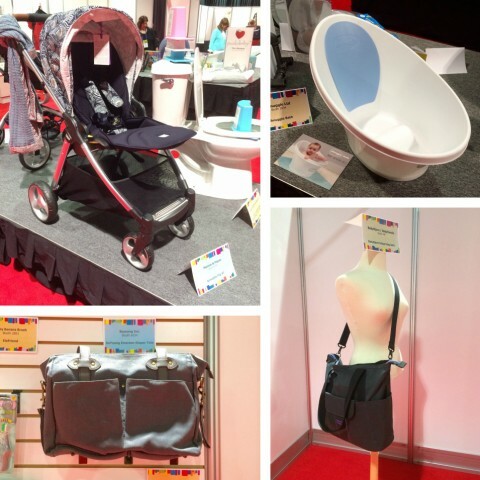 The LifeChanger from Anna & Eve is a 3-in-1 diaper bag that is also a portable changing station. 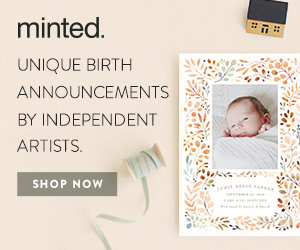 The Bamboo Muslin Swaddles – Modern Collection from Lulujo is the hippest black and white. 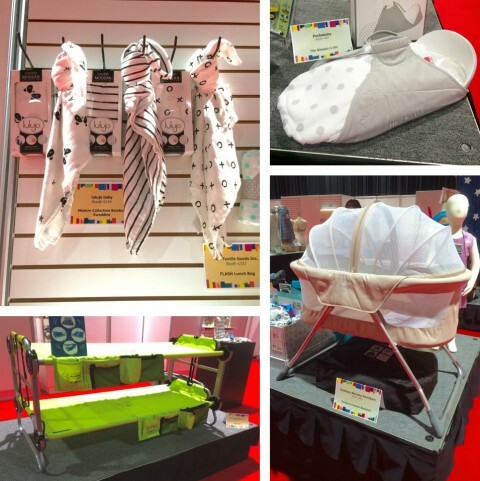 From Puckababy, the Sleeper is a nifty portable rocking infant bed. From Australia, the Sunbury Cocoon Bassinet is a new option. Then the Kid-O-Bunk is the first portable bunk bed that’s perfect for camping and more! The Liberty of London Armadillo Flip XT is extremely beautiful and we will revisit this special edition later. The Shnuggle Bath is a great cross between regular baby baths and the bath bucket. Baby Bjorn has a new diaper bag and I also like the Emerson Diaper Tote from Soyoung. Fluf has some lunch bags in great patterns like the Flash lunch bag. 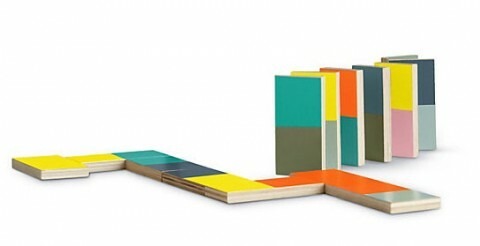 PeekaBoo Growth charts from Mom Approved are brilliant– just stick them on the edge of your door! I’m interested to learn more about the feeding products from Mastrad. Finally, with Halloween coming up, the Suitables Role Play Bibs are fun and functional. I believe that one timeless, spectacular gift beats a pile of presents that will be forgotten and discarded within months. So if you’re looking for one really special gift that can be treasured for years to come, you can shop at DWR this holiday season. 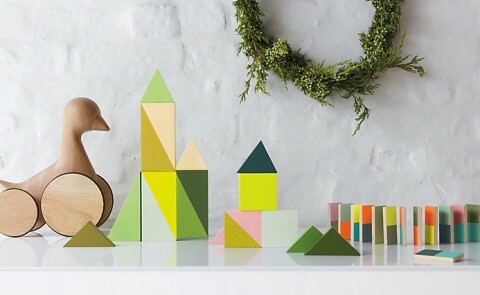 I love their collection of holiday gifts for the kids or kid at heart. 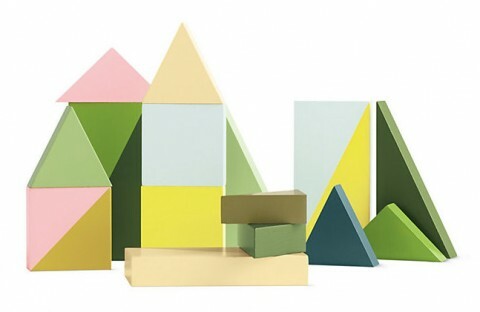 Of course, for me, you could just buy anything from DWR and you’ll be my favorite. Since this blog functions on the internet, most of my shopping links send you to online retailers. 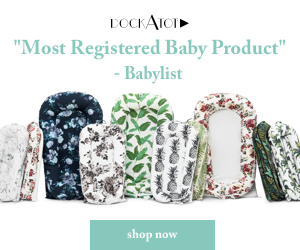 I hope this is helpful to those of you who have no baby store other than Babies R Us near you, but there are hundreds of wonderful baby boutiques across the US where you can find the brands we feature. 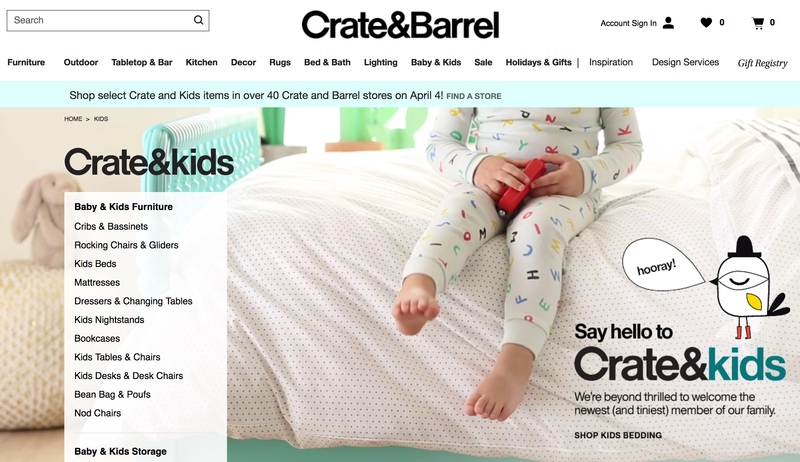 I know it’s hard to commit to a crib, a glider or a stroller without checking them out in person, so we’re going to start introducing you to great brick-and-mortar retailers with our new Shop Love feature. 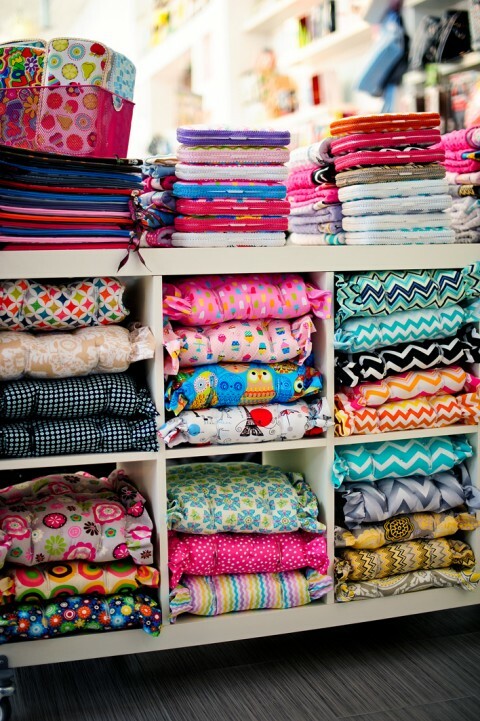 The first store we’re featuring on our Shop Love tour is Give Wink. Having just opened up a new flagship location in Miami this year, I had to check it out. With my photographer Courtney Ortiz, we spoke with Francine Delarosa, the CEO of Give Wink, to learn about what makes her stores special and how Give Wink supports and serves moms and expectant parents in South Florida. 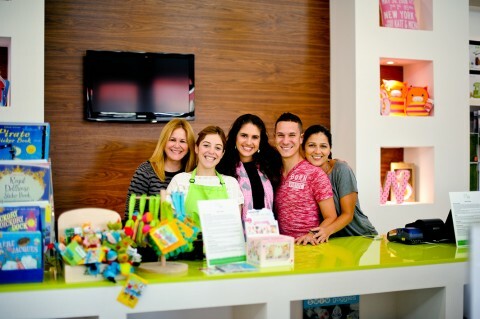 Give Wink is a beautiful, brightly-lit shop, conveniently located near Aventura Mall. 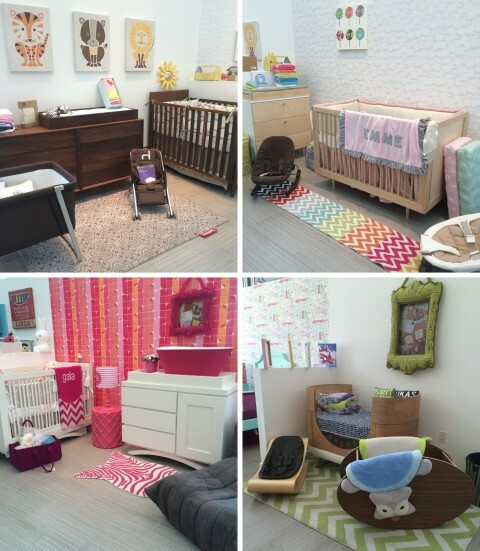 It’s organized in sections so as not to overwhelm first-time parents with everything all at once. We were greeted as soon as we entered the store and the manager came over to welcome us and ask if we needed any help. This kind of attention is just what you hope for when you start a shopping experience. Before opening Give Wink, Francine was working as a personal shopper. She brings that level of personal service into the store where she can help customers pick out the perfect gift or sit down with them to design an incredible nursery. 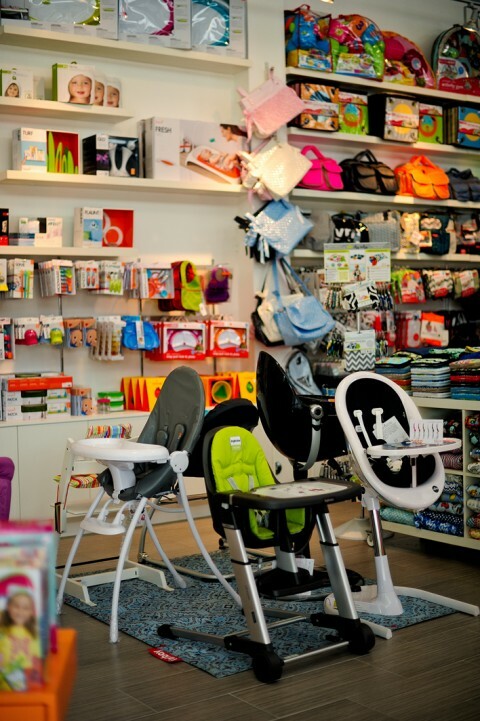 For parents-to-be who don’t know where to start, Francine or her staff walk them through the “Get Ready For Baby” guide and help select their registry items and baby must-haves. 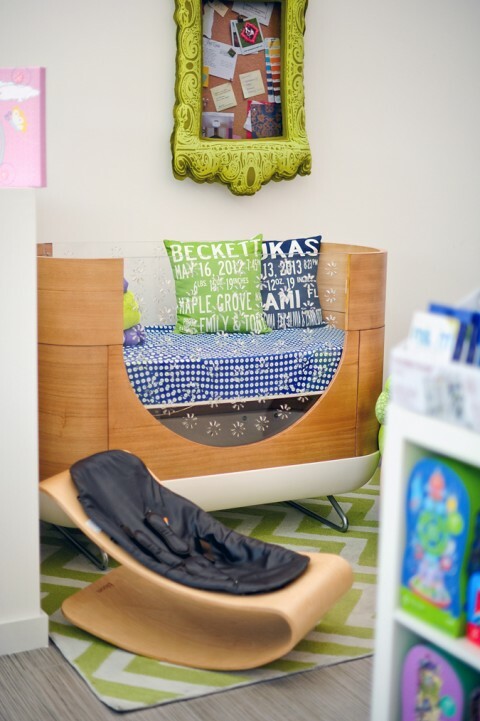 For your nursery, they recommend starting with the big three– the crib, dresser and a rocker. Some of their bestsellers for Florida nurseries are the Monte Gliders and Spot on Square cribs and changers. 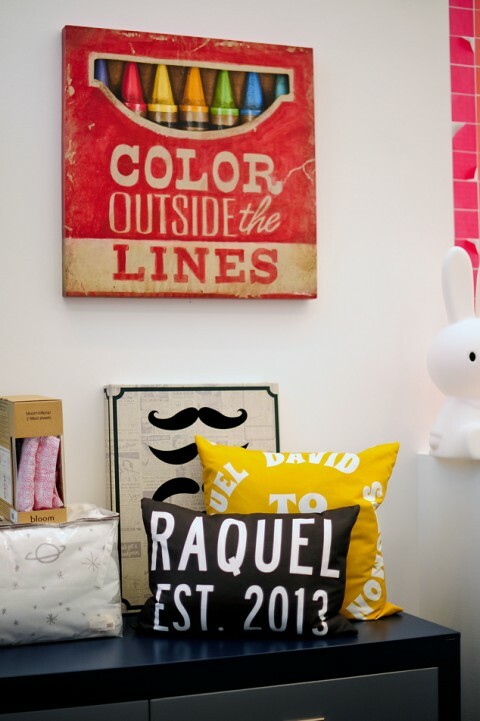 Vignettes around the store serve as inspiration for fabulous modern nurseries for home, grandma’s house or even a vacation house. Give Wink only carries products that Francine would use herself, and with 4 kids including a 9 month old, she knows what she’s talking about. The highchair selection and stroller choices are carefully curated. A current customer favorite for highchairs is Inglesina’s Fast Table Chair and new Mima strollers are the hottest strollers to hit Miami. 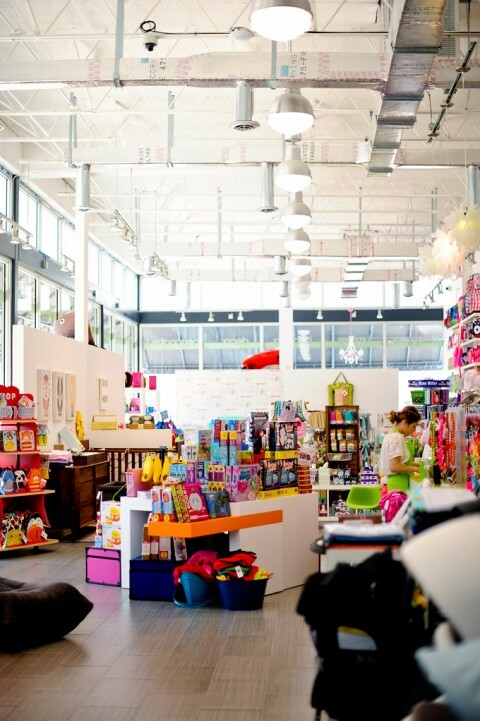 Shopping at Give Wink is about customer service, convenience and customization. 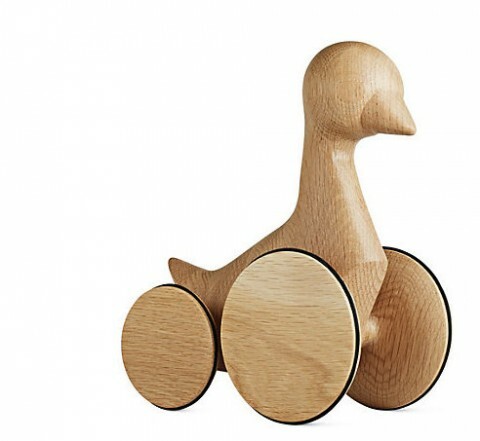 Their collection of stroller liners and accessories can be used to dress up your stroller to suit your style. There are plenty of items that can be customized and personalized, and monogramming is available in store free of charge. In-store events and classes are a great service available for Give Wink customers and you can find out about the latest events by following them on Facebook or signing up for their newsletter. I hope you have a chance to visit Give Wink. Spend some time shopping or planning your nursery and then enjoy the coffee shop next door for a drink and a salad or sandwich. Sounds like a perfect day to me, and it was! Thanks so much Francine!